We are so grateful for the godly leadership and clear vision of the GAFCon and Global South Primates and for their partnership with us in the unity of the Holy Spirit. Together, we are seeking to spread the Light of the Gospel in a dark and dying world. 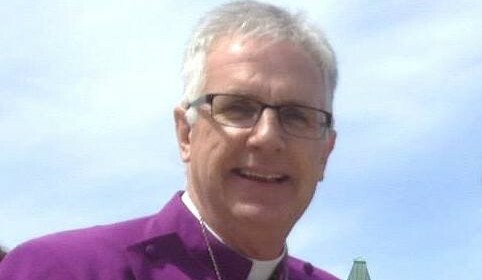 We particularly thank God for Archbishop Foley Beach and his humble, prayerful and courageous leadership of our Province, the Anglican Church in North America (ACNA). Our Primate, Archbishop Beach, fully participated in the Primates’ gathering at Canterbury until today, when he, along with several other GAFCon Primates, left. Along with the GAFCon Primates, Archbishop Foley laboured very hard and patiently, refusing to be deflected. Two things came to a head today – the issues of discipline and an opportunity to speak about ACNA. Archbishop Beach concluded his time at the meeting with a brief testimony to what the Lord has done and is doing in the ACNA and then provided a gift of our ACNA’s Catechism to every Primate. The witness to the broader Communion was very significant. I believe some Provinces are being drawn into GAFCon as a result of the witness of GAFCon and Global South Primates at this gathering. A small but significant step was taken toward restoring Biblical and godly order in the Communion. Although, in the end, only the US Episcopal Church (TEC) was named in the very moderate disciplinary action agreed to by the Primates, the Anglican Church of Canada (ACoC) and its actions were referred to frequently in the course of the Primates’ discussions. Once Primates had finally addressed the issue of discipline, it was time for Archbishop Beach to quietly step away from the remainder of the meeting as ACNA had committed itself to only continue at the meeting if TEC and the ACoC had stepped away and until repentance and godly order were restored. The ACoC remained and, although mild sanctions were applied to TEC, its Primate also remained in the meeting. I, and all of us here in Canterbury, are so aware of the incredible blanket of prayer that has enveloped this meeting. I truly believe God has answered, although perhaps not as we anticipated. The GAFCon movement has been strengthened and broadened and its wholesome impact on the Communion increased. Thank you for praying! Please continue. For ANiC, we will continue to press on in fervent prayer and with intensified focus on building “biblically faithful, gospel sharing, Anglican churches”. To that end, let us pray that the five ministry priorities we are seeking to apply may become a transformational reality in every congregation of ANiC.